One of the most powerful digital marketing tools today is literally within your arm’s reach or, actually, in your hands right now while you’re reading this post. I’m talking about your mobile device, your smartphone particularly, which you seem to can’t do without. How many times do you check it in a day for just about, well, anything? Since mobile Internet usage overtook PCs and laptops in 2016, the growth of mobile-connected devices has reached new heights. More than half of the world’s population now uses the Internet, 90% of which is through a mobile device. This trend shows no sign of slowing down anytime. In 2021, the number of mobile-connected devices is expected to reach a whopping 11.6 billion, or an average of two devices per user, pointing home to the fact that your business needs to keep up, adapt, or slowly wither away. For small business owners, this development should come as positive news as it opens more opportunities to send your brand message across a wider audience. Execution is key, as well as a little patience and self-study. 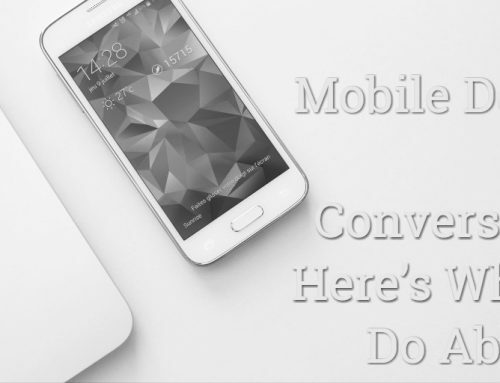 In this article, we’ve compiled some of the inexpensive, easiest, immediate, and responsive ways for you to have a winning mobile strategy. Before starting your mobile marketing campaigns, it goes without saying that you need to optimize your website to fit multiple screens. Not doing this defeats the purpose of leveraging mobile to drive more engagement. Pinching in, zooming out, or rotating your smartphone repeatedly to view a website content is frustrating and doesn’t make for a great user experience. And when customers get frustrated, you know what happens, they won’t have second thoughts leaving you and searching for an alternative. And where would they go to? To your competitors, most likely, where they can find similar products or services. You definitely want to invest in optimizing your site for mobile use. Hiring a developer is a bit expensive, so you may want to do that when more money is coming in and you’re ready to scale up. Free courses are available, but it will take time to digest all the information you need, especially if you barely have enough CSS or HTML knowledge. The most cost-effective and easiest route, particularly for less experienced designers and small-scale business owners, is to use CMS systems like WordPress, Joomla and Drupal with preset themes, have some great plug-ins, and are easy to integrate with other publishing tools. All three offer free-for-life basic plans that you can start with. Get a feel which system works best with your digital marketing efforts and which you’ll be most comfortable using. When you’re ready to expand your business, consider switching to paid plans for more functionality. 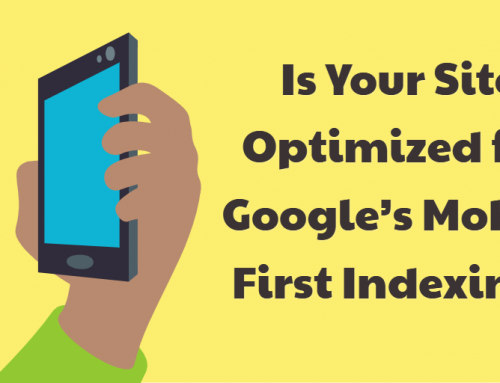 A mobile-friendly website helps your SEO too. According to Google, mobile-responsive websites rank better in search results. Giving the searcher a poor experience prompts Google to demote your site’s rankings or display with a warning in mobile search results. To know if your website is mobile responsive, take the mobile-friendly test by Google. They are free and allow you to create awareness campaigns without the need for any expensive digital tool. With your smartphone alone, you can capture photos, create stunning visuals and share content instantly. Almost 80% of time spent on social media is now spent via mobile, simply because mobile and social media are a match made in heaven. Social media tap into the elements of what make us humans. And with the ubiquity that mobile brings, every like, comment, and share, feeds those desires, anxieties, and joys instantaneously. So just think of how much opportunities you’re wasting if you haven’t been maximizing social browsing to generate conversions. What channels are your target audiences using? How many channels can you manage? But not all social media channels are created equal. Not only do they differ in terms of level of engagement and user demographics, but also in their appearance or user interface. Facebook, for example, still remains the most popular social networking site in terms of the number of monthly visitors. But you have to take into consideration that the Facebook app and the Facebook mobile site use a single-column UI that makes it more difficult to attract the user’s attention, so your posts need to stand out to get noticed. Visual content drives more engagement in social media simply because it elicits strong emotions, easy to understand and beats our short attention span. Start creating stunning visuals for cover photo and profile pictures. This cover photo, for example, is designed to generate leads. Notice how it combined a call-to-action button where it can get more results without a lot of extra work. Here’s another tip. Notice that Facebook gives a bit of a wider space for images and videos on its Newsfeed as compared to link posts alone. When you want more clicks and more traffic to a specific webpage of yours, pair up an image with a powerful description or numbers to attract more attention, or simply overlay text on photos. Just keep your description short and sweet. A 40-character Facebook post is found to receive 86% more engagement than those with more characters. 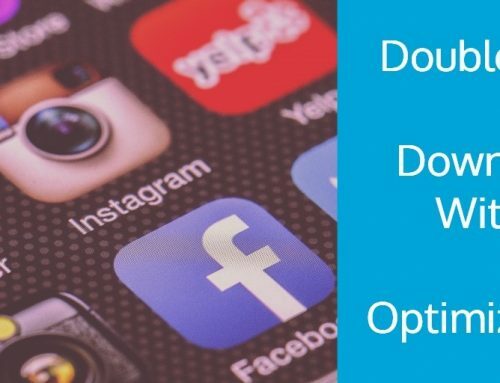 You need to optimize your mobile social content for different social media image sizes and formats. Instagram is more about visual, for example, and it’s best to upload square images on this platform as that eliminates white space on the sides. Your Instagram’s profile picture should measure 110 x 110 pixels, photo uploads at 1080 x 1080 pixels, and thumbnails at 161 x 161 pixels, but all should maintain a 1:1 aspect ratio. In terms of when’s the best times to post on social media, you have to dive into the analytics of your channels’ performance and determine the posts that garnered the highest engagement or largest number of conversions. You have to pay attention on when your users are most active online, taking into account the number of shares, likes, or comments. Video racks the highest level of engagement on mobile. In Twitter alone, 90% of video views happen on mobile-connected devices. Users say they come to Twitter to discover content they don’t already know about rather than searching for something specific. They want to see more videos from three top sources, namely celebrities, other Twitter users, and take note, brands. Again, you need to have clear goals on what you want to achieve with your videos. Do you just want to entertain? Do you want your audience to take action, i.e. share your content, purchase your product, sign up to your email newsletter? Or do you want all of these to happen? Revisit your marketing plan and strategize accordingly. Before you say, “I don’t have funds to hire talents and video production crew”, let me tell you that you don’t need any of that. You need to invest more time than money in making the most out of your video content. Use the camera on your smartphone, or a DSLR video camera if you have one, which can both shoot high-quality videos. Take time to figure out which settings look best for your video campaigns. And, again, you need to optimize your videos to fit all screens. You’ll also want to get acquainted with free video editing software. Tell the audience how your started. Share nuggets of gold on your successes, albeit small, as you work towards growing your business. Walk your customers through how your products work. Host a Q&A with a guest who can do product demonstrations. Introduce your audience to other customers who love your products. Go behind the scenes and show how your products are made or how you go about providing your services. Feature your employees. Show these real people who are proud of what they do. Make your videos short and sweet. Two minutes is the ideal length and gets the highest level of engagement. But according to research, the first 5 seconds are even more important, no thanks to humans’ short attention span. You want those first 5 seconds to capture the viewer’s attention and create an effective brand impression. That’s the reason why YouTube has the 5-second countdown on pre-roll ads before the skip button shows up. Or instead of recording your videos, why not go live? With a mobile phone, you can post live updates, take part in live tweeting or streaming on Facebook. It’s a great process to let your followers know about current and upcoming products, events, or promos, to keep the conversation going. 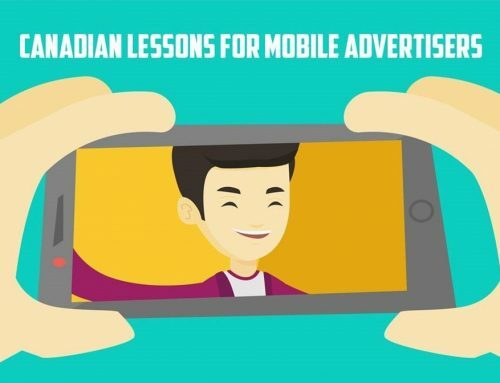 Once you’ve started your video campaigns, you need to publish them across multiple platforms. Create your own YouTube channel to help your SEO. YouTube is the second-largest search engine in the world following Google. Write a compelling description for your video. YouTube and Google bots look for keywords in the video description, meaning a good one can help your video rank better. Don’t forget to create high-quality YouTube thumbnails, after all, that’s one of Google’s best video practices. Along with the title, a YouTube thumbnail set the audience’s expectations of your videos. So, better make your YouTube thumbnails pop and size them properly for mobile. More often than not, the decision whether to click on a video comes down to this snapshot. The more eye-catching your thumbnails are, the higher the chance your videos get to be viewed. Email reigns supreme when it comes to delivering ROI, but companies must do more to measure success, according to the Email Marketing Industry Census 2017. Email is always read first on mobile and more personal in terms of content. Design your emails so that they adapt accordingly to different devices. Reducing certain copy, resizing images, stacking modules, or leaving extra room around buttons helps avoid missed clicks. Video content also isn’t just for your website and social media accounts. It can also make a positive impact at any point in your sales funnel, including email. Embedding a video in an email newsletter can actually increase clickthroughs. Four out of five consumers in the U.S. now use search engines to find local businesses. They usually look for business location, operating hours, product information, directions, coupons, promos, and online reviews by other customers. 88% of them trust these reviews as much as personal recommendations. To boost your local SEO, start listing your business for free with Google My Business (GMB). Google is the behemoth, search-engine wise, averaging 7.8 billion searches per day in 2016. GMB enables your business listing to appear in local search results for searches specific to your products or services. It allows local businesses to set hours, contact info, and location, among others, which people can find easily whether they are using Google Search or Google Maps. And for brick-and-mortar stores, listing your business’ exact location on a mobile-friendly map helps drive more foot traffic and generate more conversion. Ensure your details are up-to-date. Check your payment options. Double check your hours and contact number. Check your business images. Consider refreshing them or uploading higher-resolution photos. See if no one has made an edit to your listing and changed the business’ website to their affiliate link. Encourage your customers to leave positive reviews on your GMB listing, which is another huge factor in search rankings. Your star rating is displayed, so a high rating can also improve your clickthrough rate from the SERPs. If you are willing to shell out some money, consider implementing local inventory ads. When shoppers click your ad, they arrive on a Google-hosted page for your store called the local storefront. Shoppers use the local storefront to view in-store inventory, get store hours, and find directions, which gets more engagement and easily directs customers to your location. Similar to GMB, you can also list your business to other relevant directories to increase your exposure, including Bing Places for Business, Yahoo Local Listing, and Yelp. Small businesses often run their budgets close to the bone and encounter a different range of barriers in terms of scaling up. While some fail and regret not having a better business plan, or not preparing one at all, others lament the fact that they did not spend enough time or money on marketing their business. Some even have a superb plan and enough time and funds to spend, but in one way or another, fail in executing their strategy. Growing your business is arduous but is not rocket science. You have to be smart and mostly learn on your own. Ask questions, use the tools in your arsenal, take the time and acquire inspirations, learnings, and advice from experts in your niche. When all these are properly executed, providing a unique user experience that builds customer loyalty will come easily.